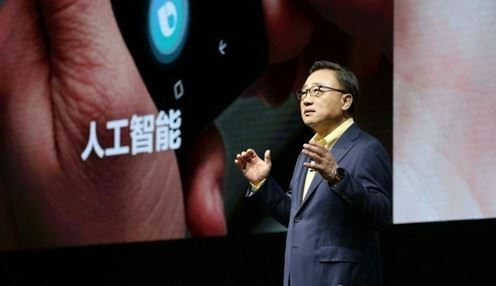 China accounted for more than 30 percent of Samsung Electronics Co.'s overall sales over the January-June period, industry data showed Monday, emerging as the company's largest market and outpacing the American continents for the first time. The South Korean tech giant, which posted sales of 83.9 trillion won ($74.6 billion) over the first six months of 2018, raked in 27.4 trillion won or 32.7 percent from China, the corporate data showed. It marked a sharp rise from 18.5 percent tallied in 2013. Asia's top economy accounted for 20.6 percent of Samsung's sales in 2014, with the number rising to 28.3 percent for the whole of 2017. In contrast to its rising dependency on the Chinese market, Samsung's latest data sales to the Americas was equal to 26 percent of the total in the first six months of this year, falling from 31.8 percent posted for all of 2016. Industry watchers said the increase apparently came as Chinese tech giants' demand for Samsung's chips increased sharply. The US government's protectionism policies also weighed down on Samsung's sales in the key North American market, they added. Samsung's business report showed Chinese tech giant Huawei Technologies Co. was included as one of the South Korean firm's top five clients. Other major buyers of Samsung products were Apple Inc., Verizon Wireless, Germany's Deutsche Telekom AG and Hong Kong's Techtronics. The company said five firms accounted for 11 percent of its first-half sales, without providing further details. The latest list is significant as Chinese and Hong Kong firms joined the top five. In 2017, Samsung's five major buyers were Apple, Best Buy Co., Sprint Corp., Verizon and Deutsche Telekom. Experts said Samsung Electronics should take a careful approach to the Chinese market at the same time, as Beijing's latest push to foster its own semiconductor industry may adversely impact the company.